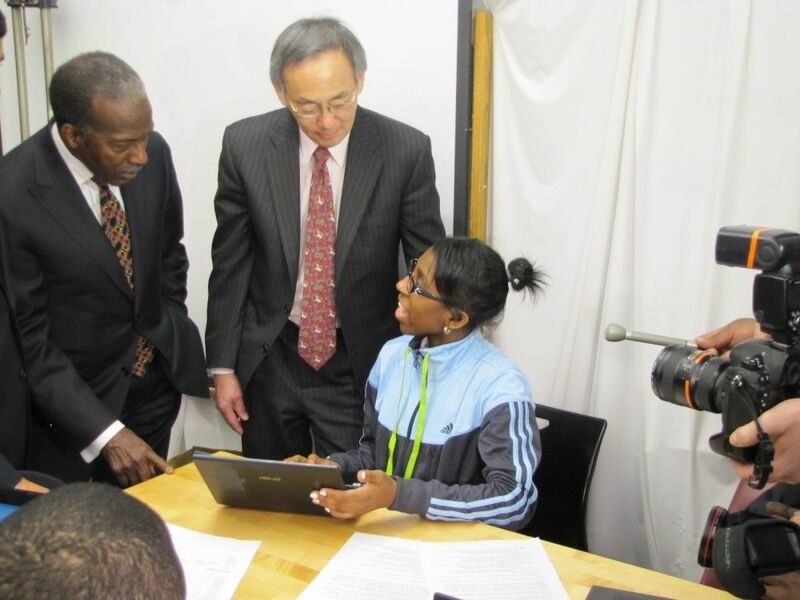 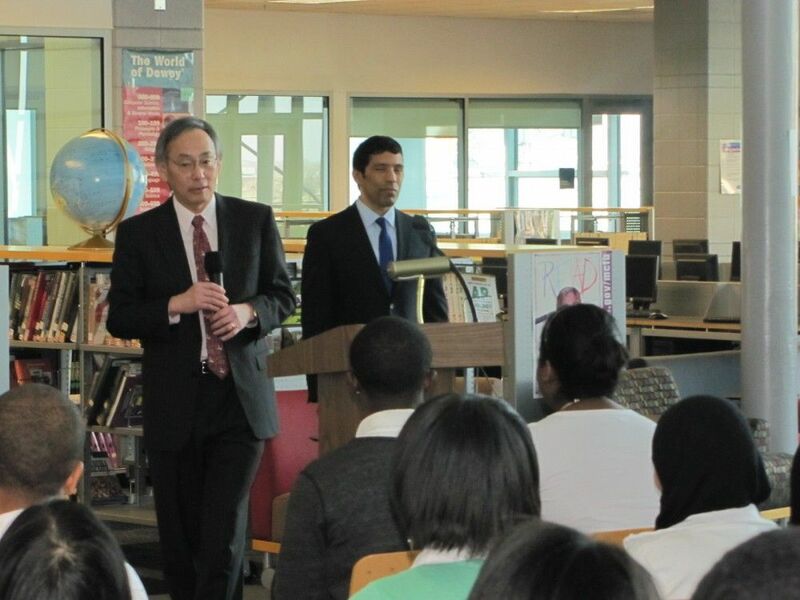 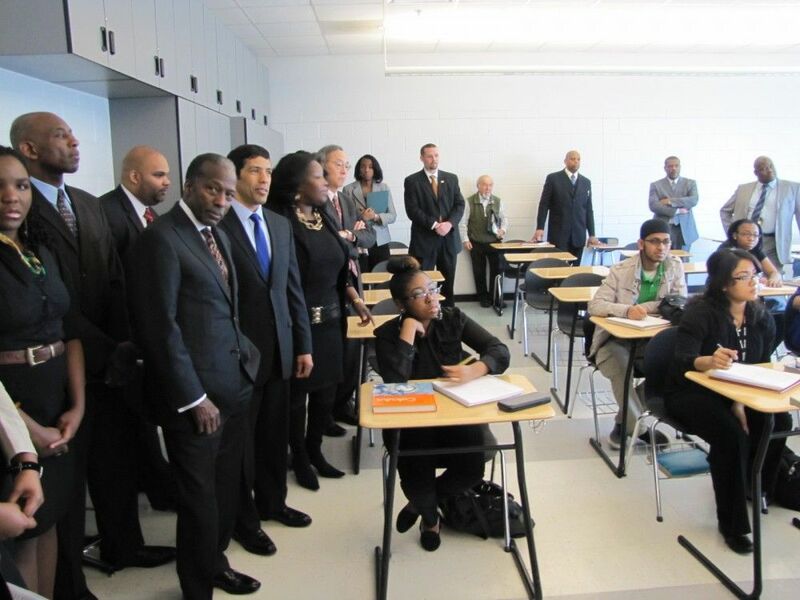 U.S. Energy Secretary Steven Chu toured Detroit Public Schools’ Cass Technical High School and met with students involved in STEM education programs from Cass Tech, Davis Aerospace High School and Detroit International Academy for Young Women Wednesday during a visit to Detroit. 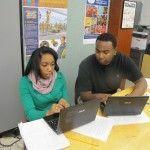 “I feel like we’re really doing big things here,” said Kyra Johnson, 18, of Cass Technical High School. 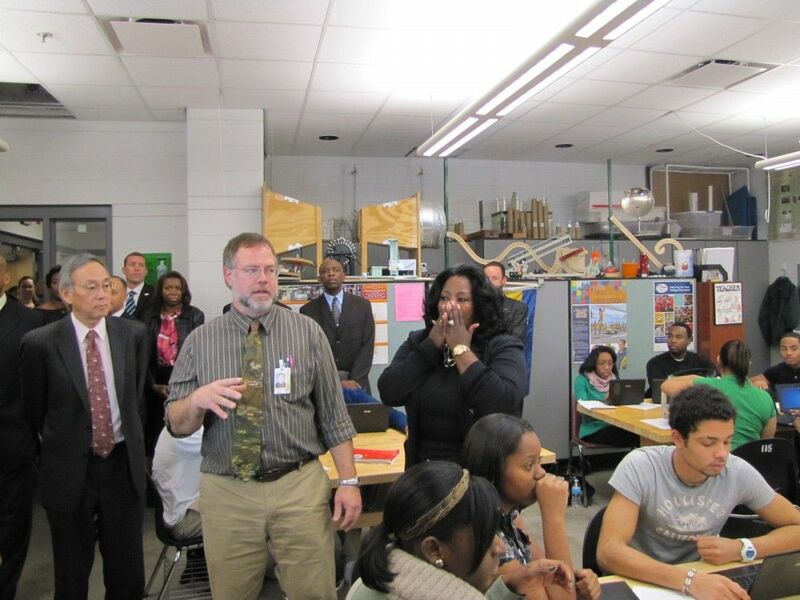 “DPS overall, but particularly Cass Tech. 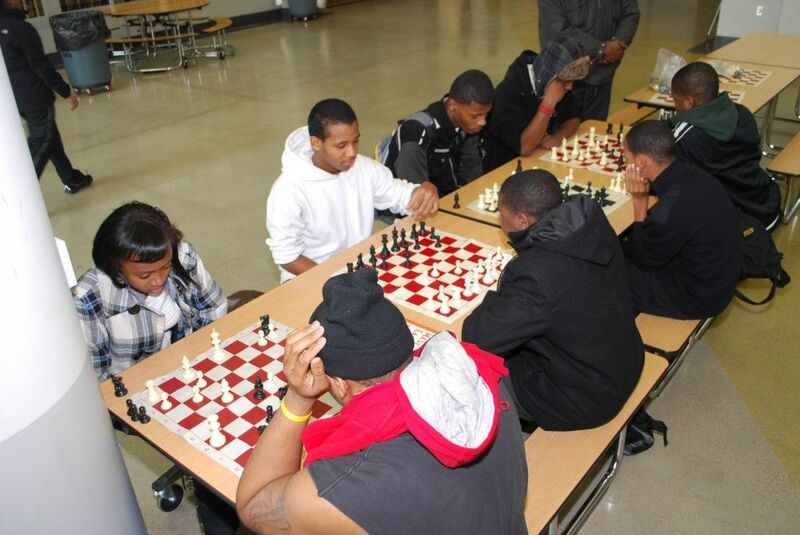 The fact that our school was selected for this visit is great. 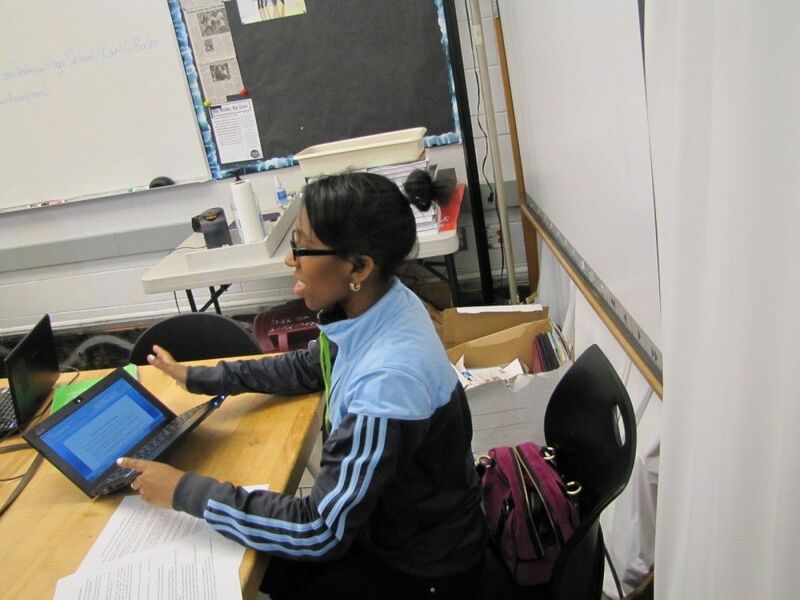 We have lots of opportunities here for students, and this is just another one of those great things that’s happening at Cass.” Kyra plans to study Communications and Advertising at Bowling Green State University in the fall. 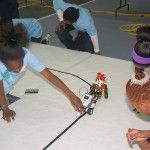 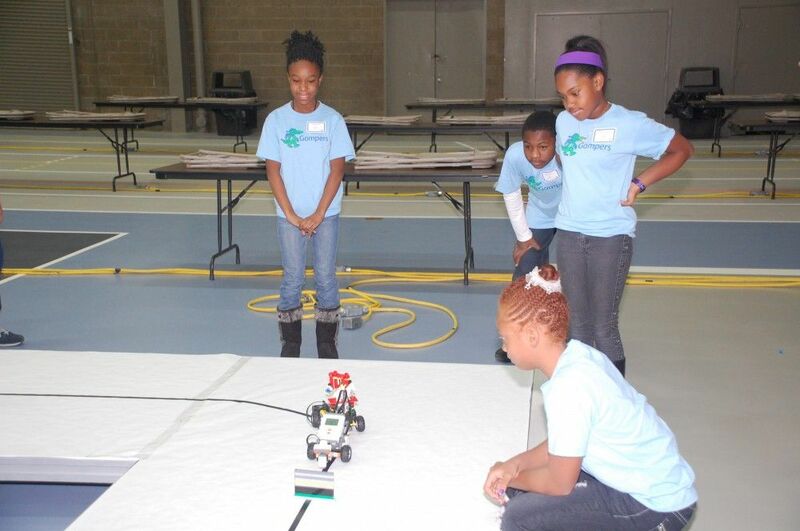 DPS boasts a number of innovative STEM-related programs, including an all-girls competitive robotics team for high school students and Lego League for middle school students at the Detroit International Academy for Young Women. 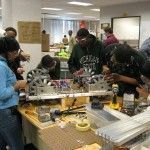 The rigorous program at Davis Aerospace Technical High School prepares students for higher education while developing technical skills to prepare students for a career in aviation. 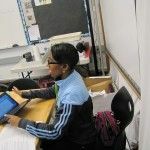 Three Davis students completed their solo flight in a Cessna aircraft and are now working on earning hours towards their private pilots certificate. 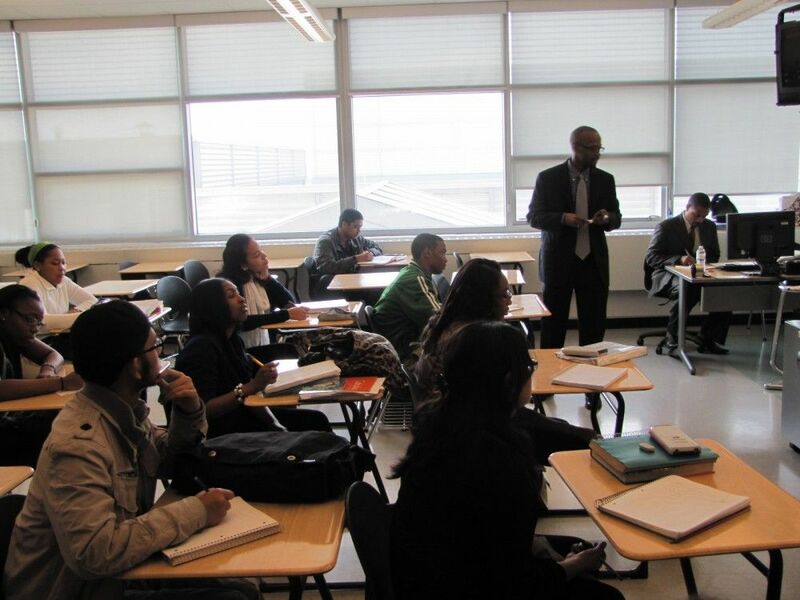 In an effort to increase the number of AP mathematics courses, DPS offers opportunities for high school students to accelerate through the mathematics program by completing 2-years of math courses in 1-school year. 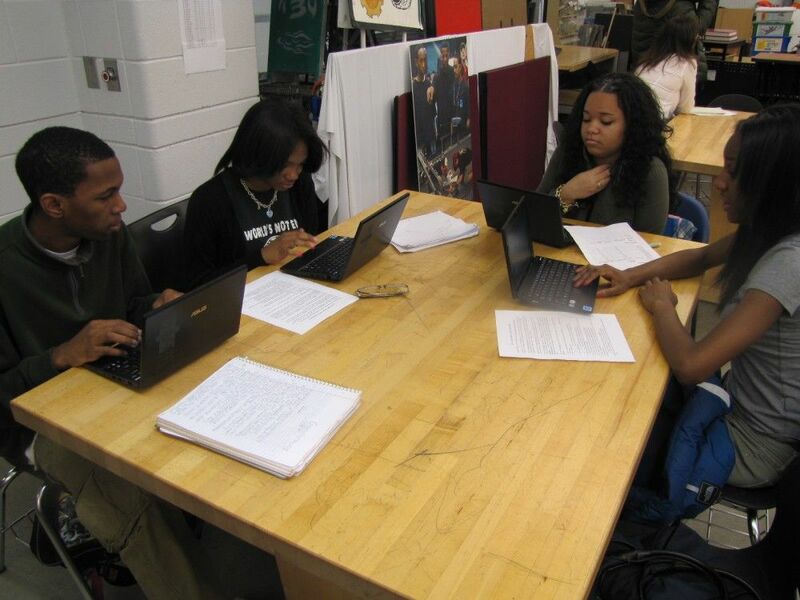 More than 100 students are in the MSAT (Math, Science and Technology) program at Martin Luther King Jr. Senior High School who take 3 or 4 AP courses. 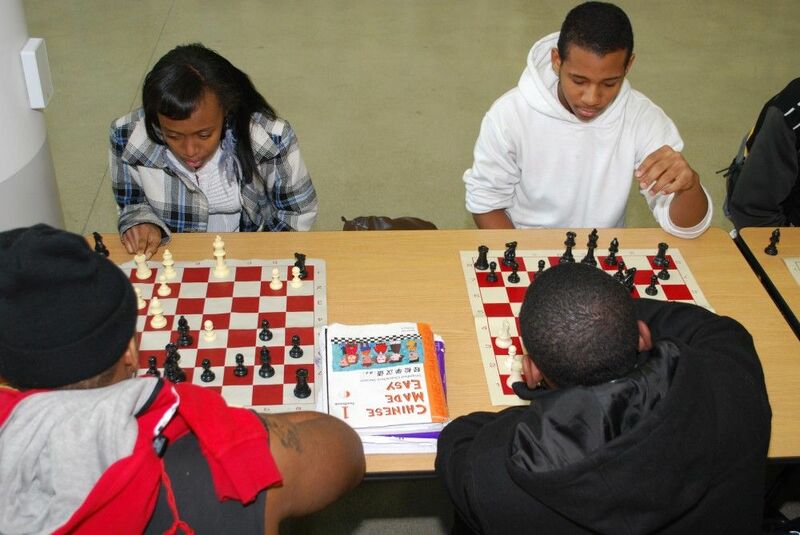 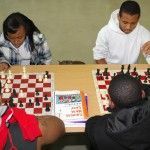 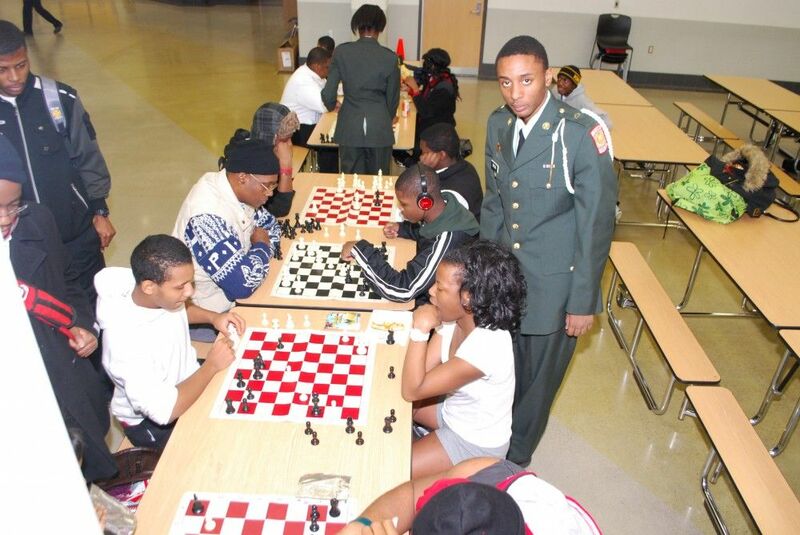 King also offers Robotics, DAPCEP, and Chess. 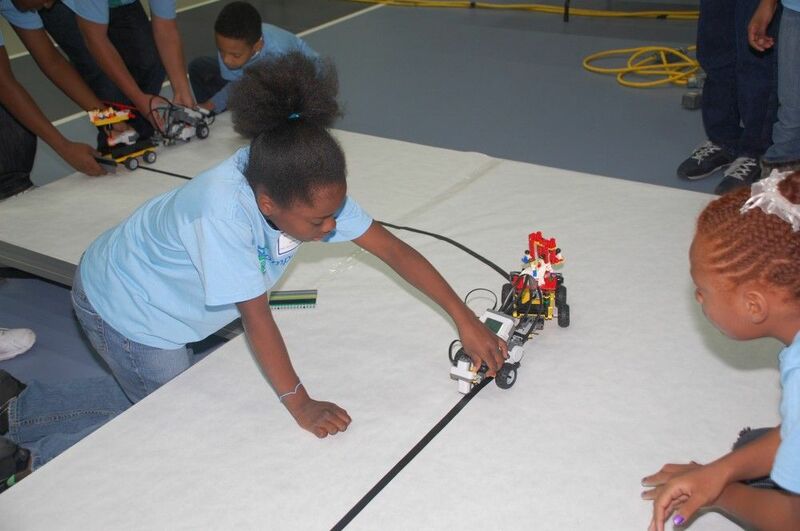 Hundreds of DPS K-12 students participate in STEM-related programs such as the Chess League, Academic Games™, and Robotics. 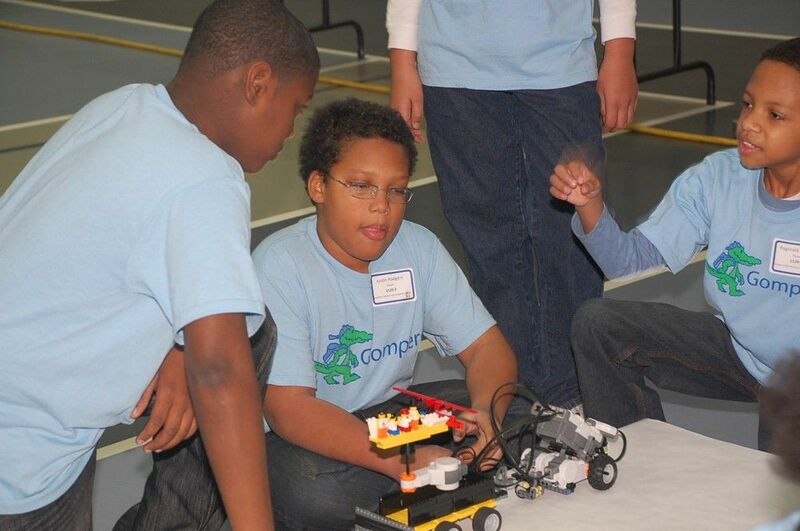 These programs are currently operating in over 30 DPS schools. 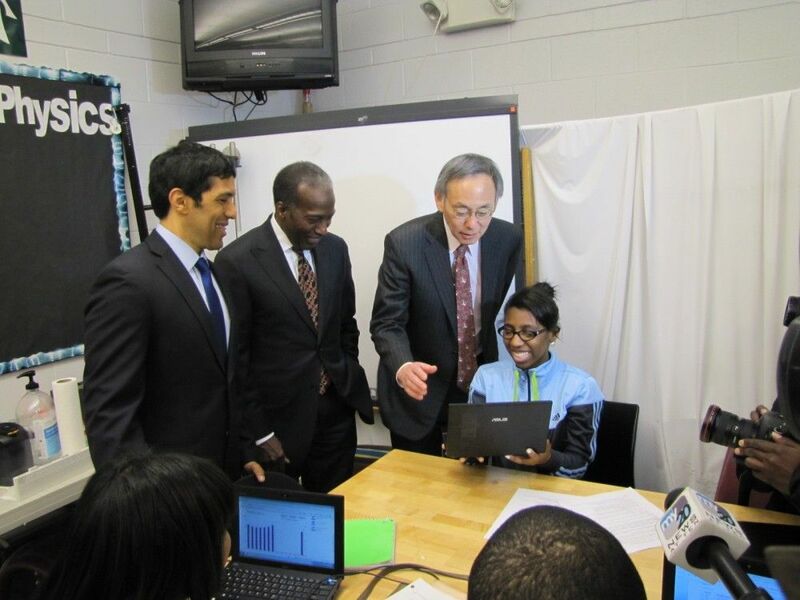 DPS has available Netbook computers for every student in grades K-12. 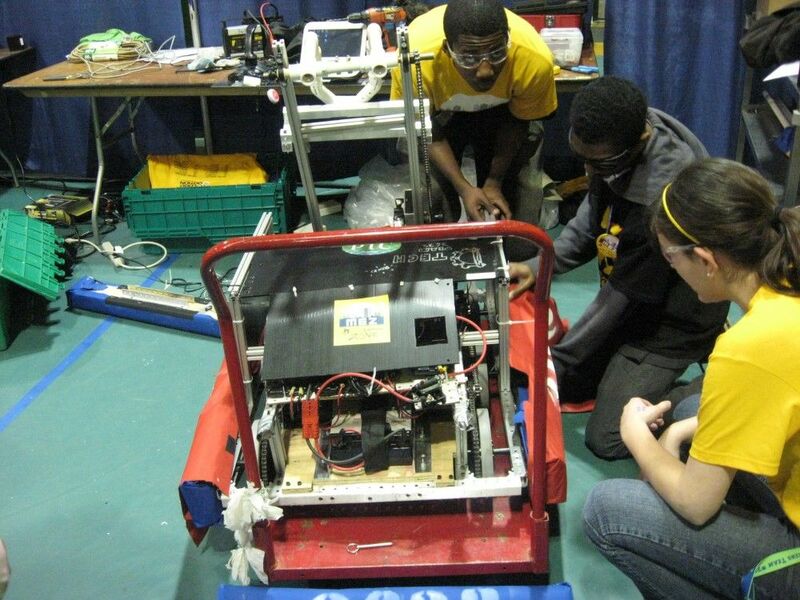 The First Robotics competition kicked off Saturday. 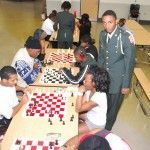 The following DPS schools are participating: Renaissance, Cass Tech, Finney, Southwestern, Golightly Career and Technical Center and Westside Academy. 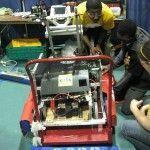 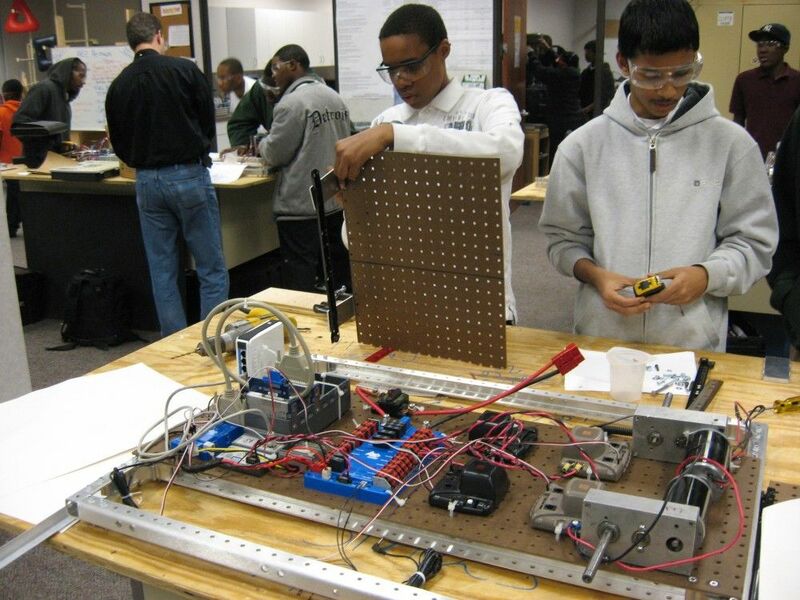 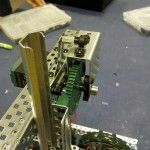 The Detroit School of Arts launched its first season of the First Robotics Team competition in January 2011. 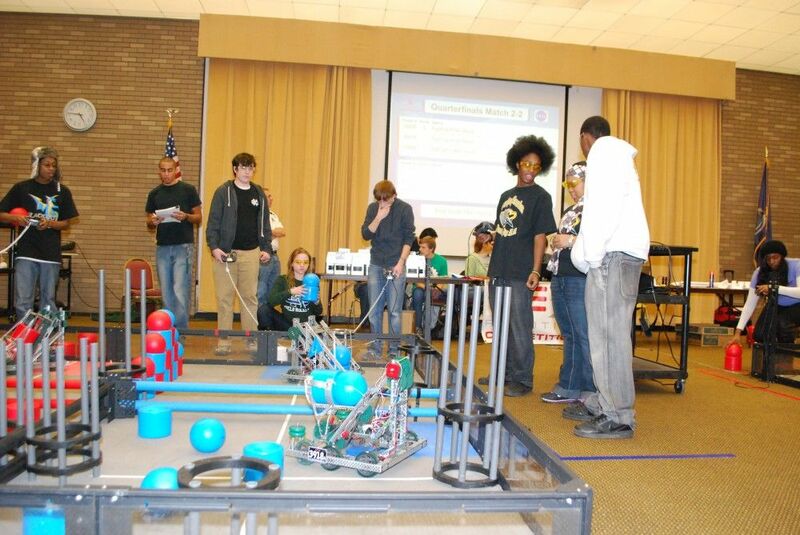 DSA was the proud host for the First Robotics state Kick-off for both the 2011 and 2012 seasons. 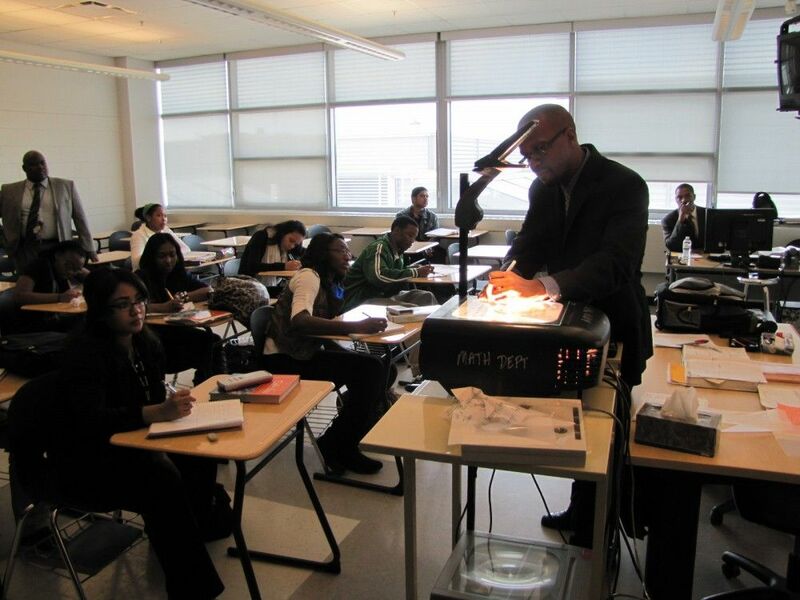 The Woodrow Wilson Teaching Fellowship has 38 STEM-field fellows from 4 universities under the mentorship of DPS teachers at 14 schools as they prepare to become teachers. 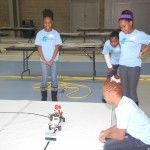 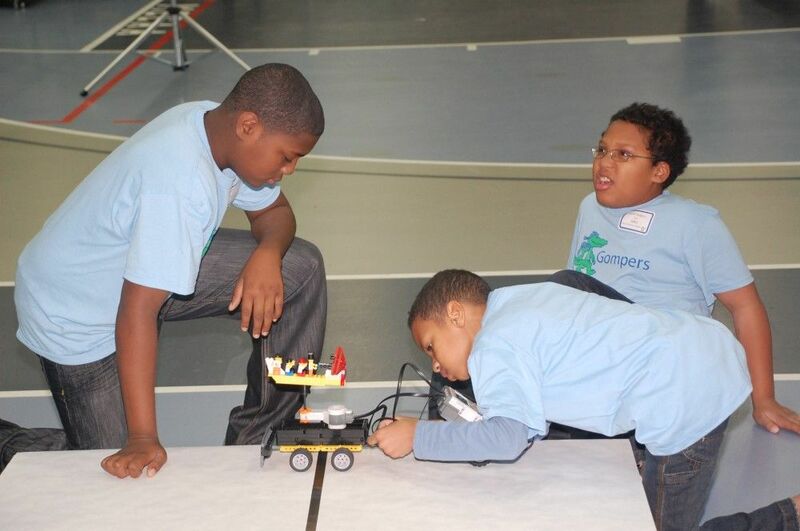 DPS has an ongoing participation in “A World in Motion” (AWIM) for 3rd and 5th graders (an SAE competition that is sponsored by GM), as well as being a national pilot site this winter for the new K-2 AWIM program. 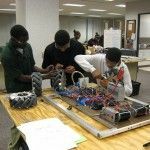 DPS has a partnership with the Engineering Society of Detroit and the DPS Foundation to provide the opportunity for middle school students to participate in Future City, a competition that promotes engineering and design skills as students create the cities of the future. 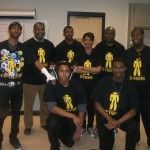 The AT&T Project Redirectory phonebook-recycling contest kicks off in mid-January. 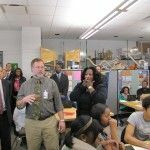 $30,000 in mini-grants were provided to DPS teachers through the Detroit Mathematics and Science Center for mathematics and science supplies and opportunities such as field trips, guest speakers, and materials for Science Fair projects. 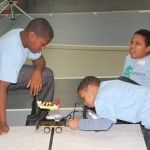 The 5th Annual “You Be the Chemist Detroit Regional Competition” for students in grades 5-8 will be held March 29, 2012, sponsored by PVS-Nolwood Chemicals, a Detroit company. 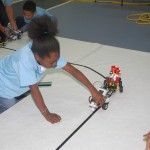 DPS has a renewed emphasis on the importance of Science, Technology, Engineering and Math (STEM) subjects, including a strengthened academic curriculum, and, through the support of the DPS Foundation, increased student access to and participation in science fairs. 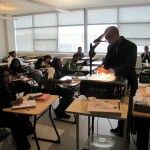 Under Detroit Public Schools’ five-year academic plan, instructional time in math (and reading) expanded to 90 minutes daily in every kindergarten through eighth-grade class. 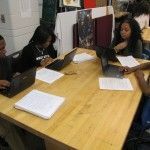 The increased instructional time built on the success of the district’s Summer Academy and Extended Day programs, which increased access to math and literacy courses and have allowed thousands of struggling students to catch up to their peers. 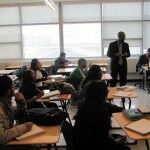 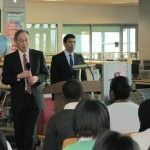 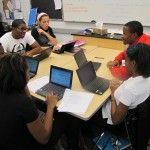 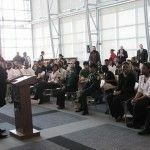 The academic plan, which aims for a 98 percent graduation rate by 2015, also called for struggling ninth graders to receive double doses of Algebra I and English Language Arts courses – to strengthen those skills. 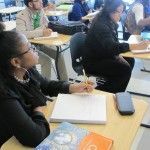 In an effort to better prepare students for AP mathematics in high school, DPS has implemented Algebra for eighth grade students. 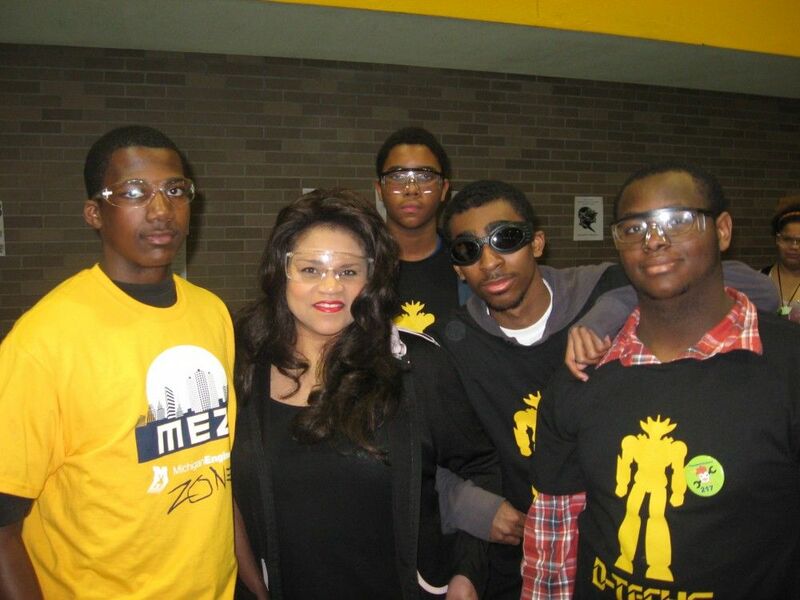 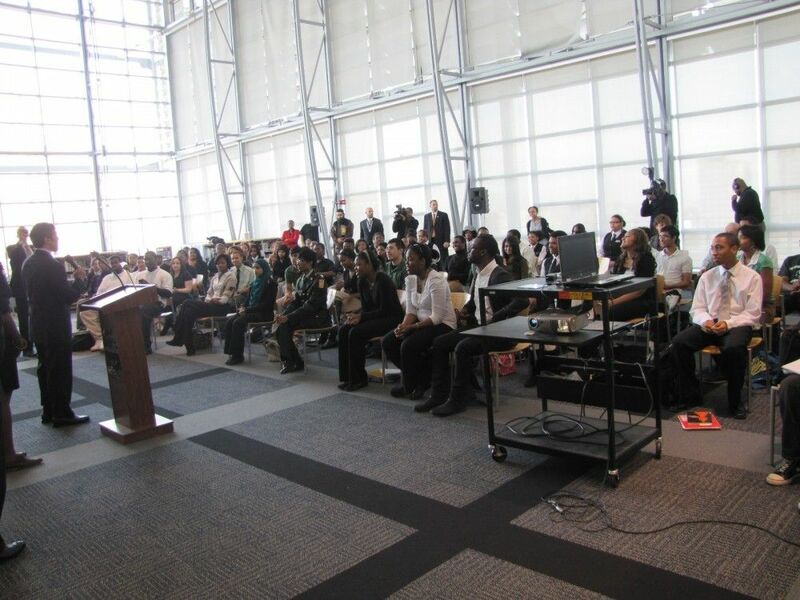 DPS worked with DAPCEP (Detroit Area Pre-College Engineering Program) at the high school level to provide student workshops and help teachers and students prepare for the 54th Annual Science and Engineering Fair of Metropolitan Detroit, at Cobo Center in March 2011. 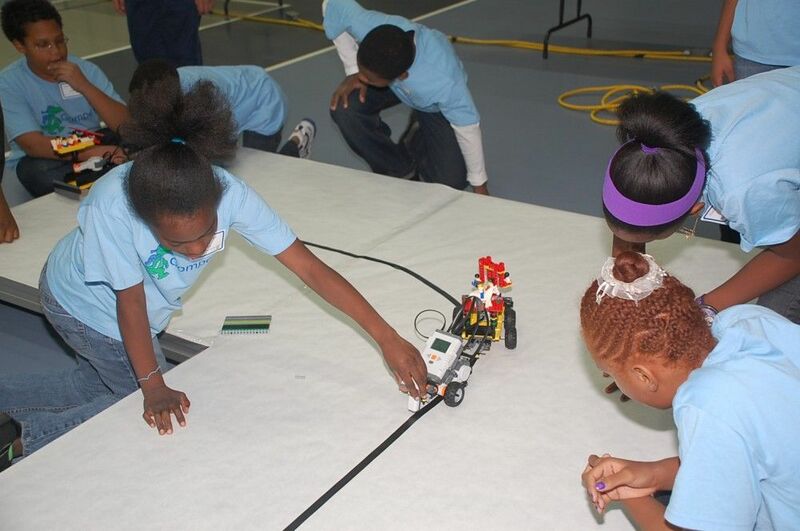 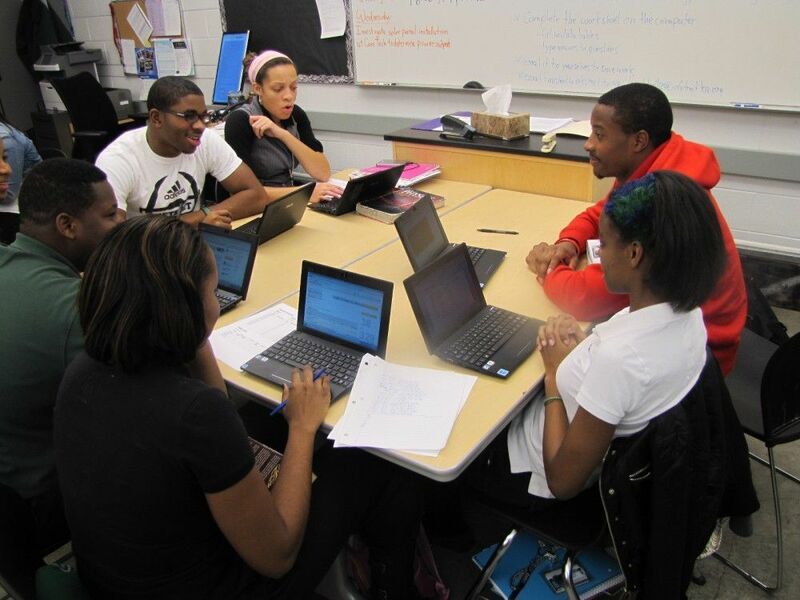 DAPCEP, which requires Science Fair participation, already operates middle school-level programs in over 20 schools. 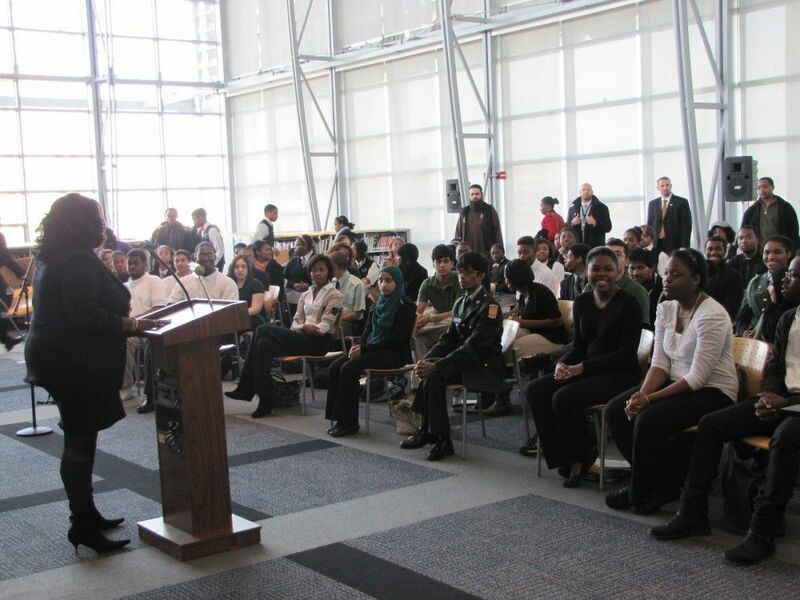 To increase participation, the district invited all mathematics and science students in grades 6-12 to participate in “How to Enter and Present Your Best Science Fair Project.” The Science and Engineering Fair of Metro Detroit had a record number of participants at the session. 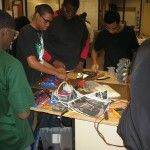 Detroit School of Arts not only has tremendously talented students for the Arts, the school also has tremendously talented students for the Sciences as demonstrated in the formation of a Robotics team. 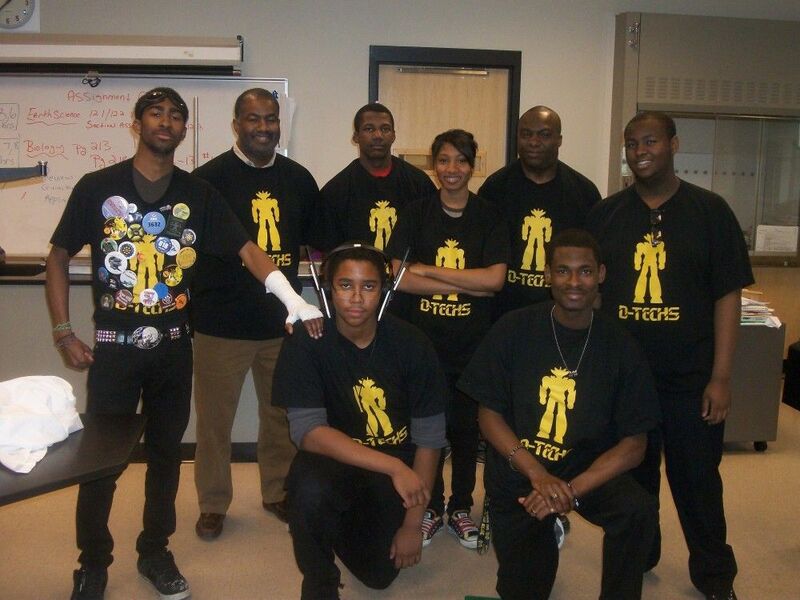 The Detroit School of Arts launched its first season of the First Robotics Team competition in January 2011. 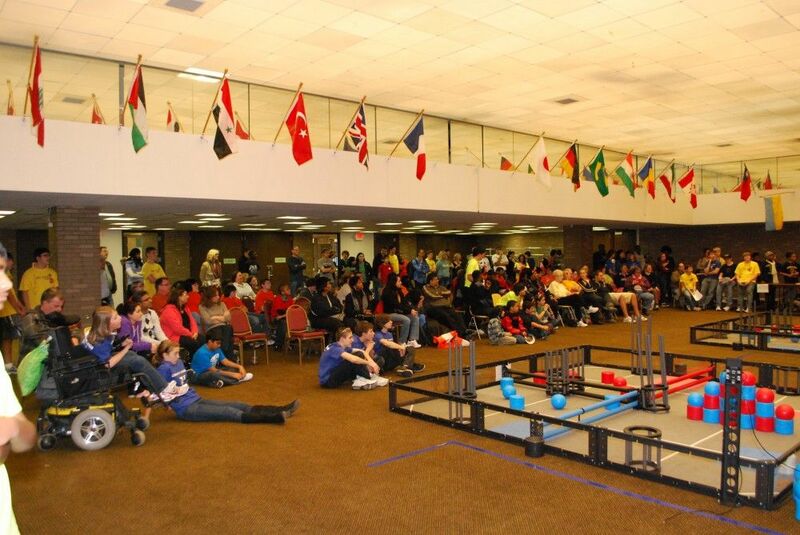 DSA was the proud host for the First Robotics state Kick-off for both the 2011 and 2012 seasons. 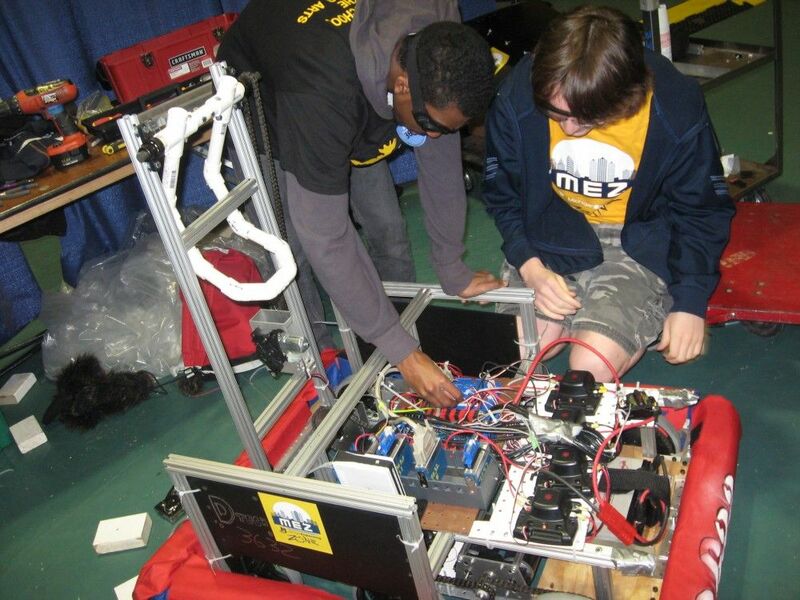 The team is composed of Arts students who are also computer science and engineering enthusiasts. 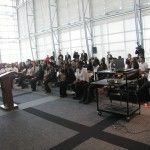 Last year DSA made a great showing and this year promises to be even greater! 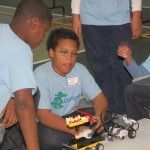 Earhart has a FIRST GRADE group participating in A World in Motion. 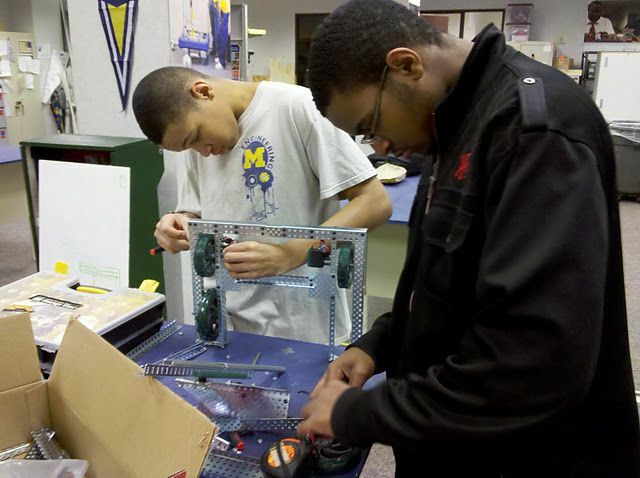 They are building a lego pinball machine. 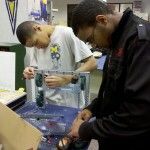 We also have a group sponsored by the University of Michigan-“Scientists of Tomorrow,” where U of M will visit and inservice the 7th graders on STEM careers culminating with a day on the Ann Arbor campus. 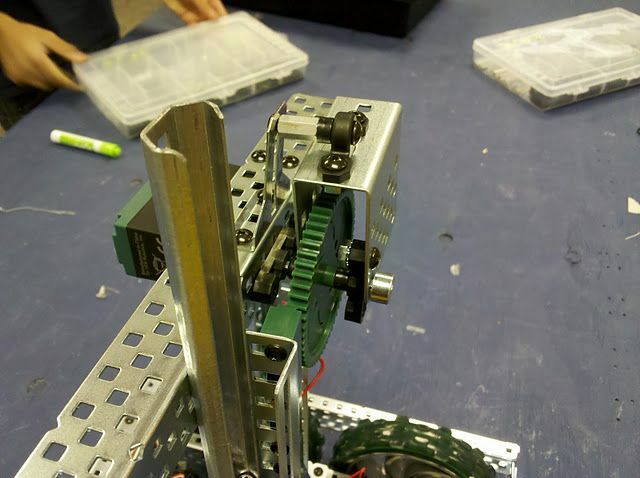 This starts in the spring. 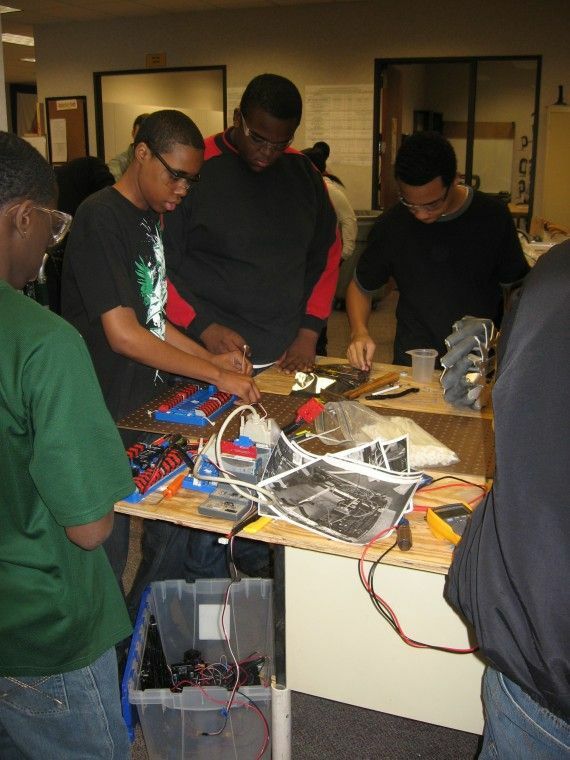 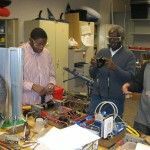 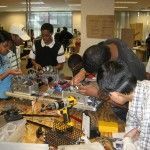 The Cass Tech Robotics Club is more than just building robots. 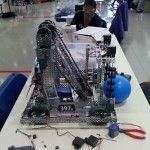 It is about learning new experiences, getting hands-on training, expanding your knowledge, meeting new, diverse people from various schools, gaining leadership skills, and solving problems. 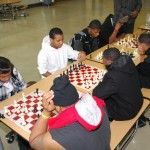 It teaches teamwork, discipline, critical thinking, time management, and compromises. 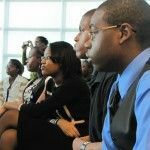 It is finding out whether the career choice you choose is the right one. 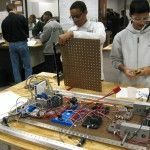 There is engineering, programming, designing, logistics, and public relations. Engineering deals with constructing the robot, the tools used, and the electrical wiring. 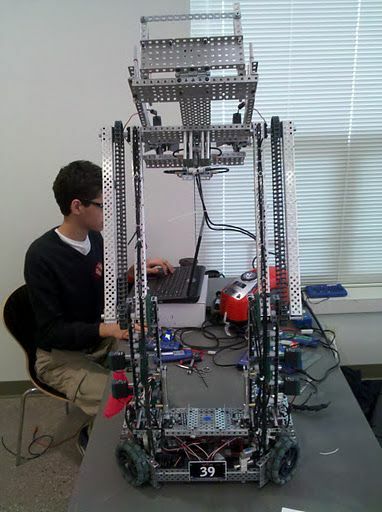 Programming deals with giving the robot instructions to accomplish a specific task. 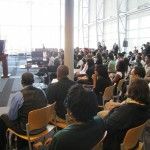 Logistics deals with management of the flow of goods, information, and other resources. 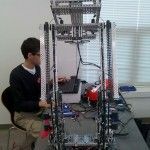 Design deals with sketching and testing robot characteristics through prototypes before they are actually built. 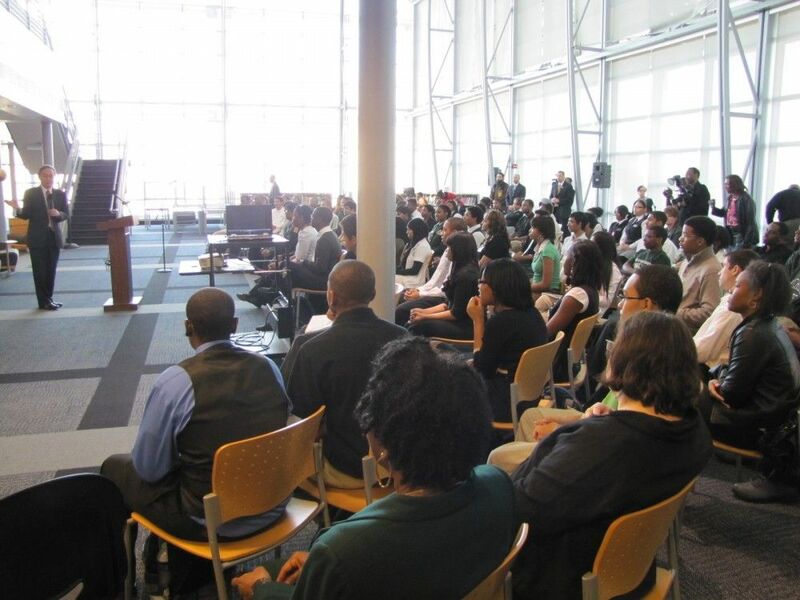 Public relation deals with communication to the people for the purpose of creating a favorable image. 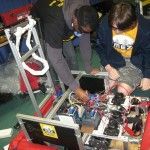 FRC Team 3096, the Finney Highlanders, is a co-ed robotics team comprised of both Finney High School students, freshmen through seniors, and mentoring professionals that compete in the FIRST Robotics Competition (FRC). 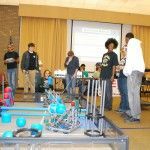 The Finney Highlanders robotics team strives to inspire students to pursue careers in science and technology. 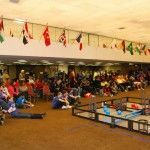 Participants have the opportunity to build character, develop a fundamental understanding of respect, team unity, and learn to recognize the impact of science and technology on society through partnerships with industry professionals and competitive robotics. 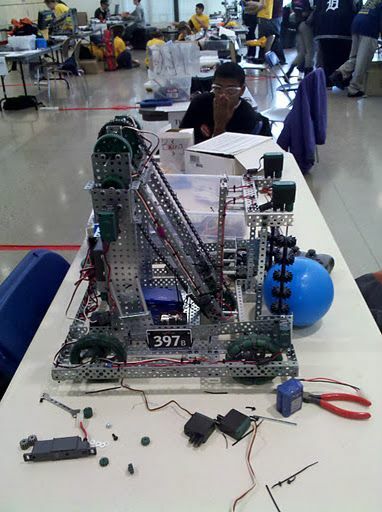 This entry was posted in Info News Center, News and Press Releases, Student Showcase and tagged 327, 510, 529.